April | 2010 | What's Cooking at the Genua's? Pomegranate liqueur makes a delicious and intoxicating martini. You can use any kind of pomegranate liqueur with this but we like to use PAMA™. These can be strong so you can add less of the ingredients if you like or add ice to your drink. Either way it’s a great unique martini! 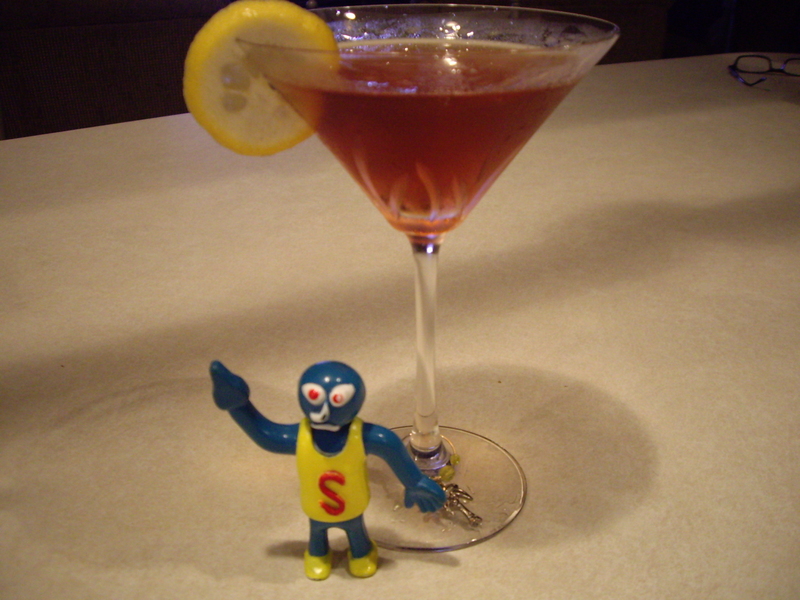 Here’s Sluggo about to enjoy one! Combine all ingredients into a cocktail shaker with ice. Shake vigorously. Strain into a chilled martini glass. Garnish with lemon peel or lemon slice. From the first time I tried this recipe I was in love. This is such a delicious New York style version. My friend Cheryl is like another sister or cousin and I am so happy she shared this recipe with me so many years ago! (At my first bridal shower I believe!) It is a simple plain, cheesy, creamy cake. I love to top it with my favorite fruit such as fresh strawberries! It is not a low-calorie dessert so if you were looking for one stop reading now! 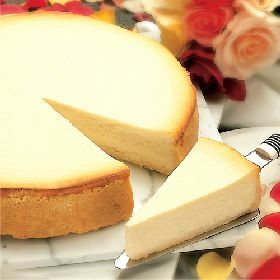 You will also need a good spring-form pan for this, a must for anyone making a cheesecake. 1. Allow cream cheese, sour cream and butter to come to room temperature. In a large bowl, blend together all ingredients except sugar. 2. Beat eggs into mixture one at a time, mixing well after each addition. 3. Pour mixture into a greased 10″ spring-form pan. Place spring-form pan into a large roasting pan that has been half filled with hot water. 4. Bake in a 375ºF oven for one hour. Cool in oven for 30-45 minutes. Remove from oven and continue to cool. 5. When cool remove from spring-form pan carefully. Serve plain or top with your favorite fruit topping! This is a recipe that my grandmother (Nana) used to make for us years ago, usually around Easter. Though they are good at any time of the year for any occasion. The first time I made these it took me forever to roll each little ball. Then I talked to my Italian Aunt Rosie about making them and she laughed when I told her I rolled each little ball individually. She said that took way too long! She told me to roll the dough into long strips like giant pretzel rods and just cut them! Simple! 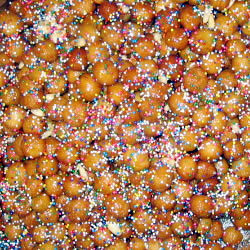 These little honey balls are really good and bring back so many childhood memories. They stay fresh for a very long time and you can even freeze them for another time! (Without the honey of course!) They really are simple to make and always a hit. 1. In a large bowl, mix together eggs, vanilla, cinnamon, sugar, and butter. Add flour, 1 cup at a time. The last ½ cup of flour can be added if necessary to make a smooth dough. Let dough stay in bowl, covered with a dish, for ½ hour. 2. Roll out portions of dough. Cut dough into strips, rounded like pretzels, then cut into ½-inch pieces. 3. Heat about 2½ inches of oil in the bottom of a pan or deep fryer. Fry the pieces of dough, a handful at a time. If you can do this in a frying basket, it will be easier to take them out. Place pieces on paper towels to drain. 4. Heat honey until just under the boiling point. Place strufoli in a bowl and drizzle honey over them, gently tossing. Arrange on a large platter and sprinkle with the nonpareil (confetti). You can shape into a mound on a large flat dish or into a wreath. 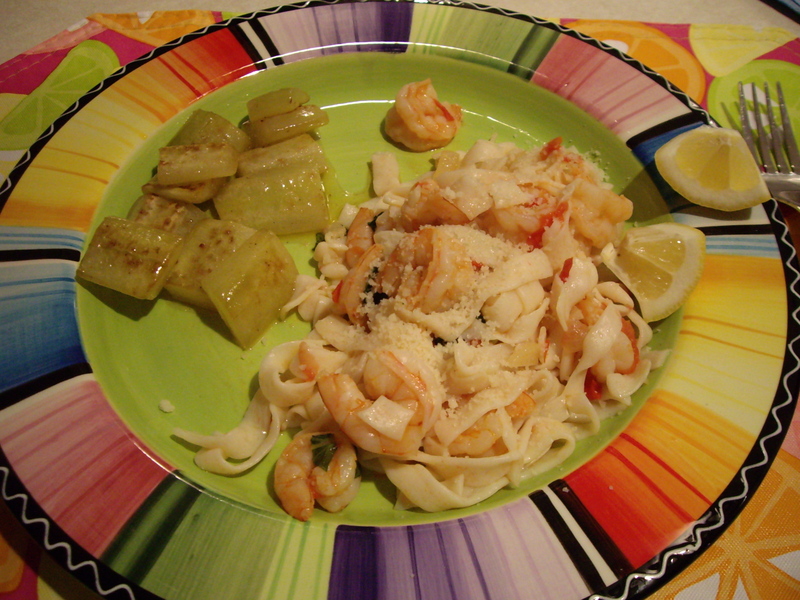 One of my all time favorite shrimp dishes is Shrimp Scampi. I love the butter, the oil, the garlic and of course, the shrimp! I am actually going to make this recipe tonight. I found it today in my email from Hungry Girl. Who is Hungry Girl? I am sure some of you have heard of her lately or seen her on TV. She’s on Rachael Ray quite a bit as well as all the talk shows. She shows us a healthier way to eat all of our favorite dishes. I have to say that I use quite a lot of her recipes and love them all. I have all her cookbooks, there are three. One of the newest ingredients for me that she uses as a noodle/pasta substitute is “House Food Tofu Shirataki Noodle Substitute”. I can hear some of you groaning…Tofu?? Yes, tofu. It’s not a horrible thing. Really!! When you prepare these noodles with sauces they are delicious. No they do not taste like real pasta, but they are still fantastic. Loaded with soy protein and fiber! GOOD!!! They come in pouches covered in water in the organic section of the produce department. I buy them all the time and use in casseroles, for fettuccine alfredo and a ton of other dishes. Today’s recipe calls for the Fettuccine style noodles. They come in spaghetti style and angel hair style as well. Don’t get me wrong, I LOVE my regular pasta but living with a carbophobe makes me nuts so I have to make substitutions. (Check http://www.house-foods.com/Tofu/tofu_shirataki.aspx for recipes and information) So tonight’s recipe is courtesy of Hungry Girl Lisa Lillien. I will take a picture and post it afterwards but for now I am including a picture of hers. One more thing on this recipe that I really like. The shrimp calls for the tails removed! Hooray! This is one of my pet peeves. Why must the tails be left on with almost all shrimp dishes? Besides that it looks nice? Really? Is that the only reason? I hate having to make a mess attempting to remove these tails while I am eating. Especially in a restaurant! Come on, cook without the tails! You’re not going to eat them anyway so why leave them on? Okay I feel better now! 1. Cut lemon in half, and squeeze the juice from one half into a small dish; remove any seeds, and set aside. Cut the other half into wedges, and set those aside as well. 3. Bring a skillet sprayed with non-stick spray (butter flavored if you have it) to medium heat. Add onion and garlic, and cook until softened, 2-3 minutes. 4. Add shrimp and tomato. Stirring occasionally, cook until shrimp are opaque, about 2 minutes. Add lemon juice and continue to cook and stir for 1 minute. 5. Raise heat to medium high, add shirataki noodles, and mix well. Continue to cook for 1-2 minutes, until entire dish is hot and shrimp cooked through. Add butter and stir. 6. 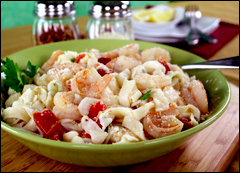 Plate (or bowl) your scampi and top each serving with 1 teaspoon Parmesan topping. 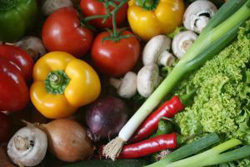 Garnish with lemon wedges and, if you like, season to taste with optional ingredients. Enjoy! I love chili. Even on a hot Florida evening I love chili. It is so simple to make and tastes even better the next day! I call mine red and black because I use red kidney beans and black beans. Lots of fiber and protein! Sometimes I like to add some brown rice to mine or even ditalini pasta.This recipe usually makes a big batch and will serve 4-6. It also freezes well so when you are searching the freezer or fridge for something to cook when you don’t have time, just defrost and heat! I think this recipe is pretty spicy too but of course my husband thinks otherwise! Enjoy it with a cold beer or even a nice glass of wine! I make this at least once a month because it’s so good. 1. In a large saucepan heat about 3 tablespoons of olive oil and sauté the onions until soft. Add the garlic and sauté a few minutes more. 2. Add the ground beef and cook till there’s no pink left, stirring well. 3. Add the drained beans and mix well. Heat through a few minutes. 4. Add the tomatoes and heat through. Add the chili seasoning and stir well. 5. 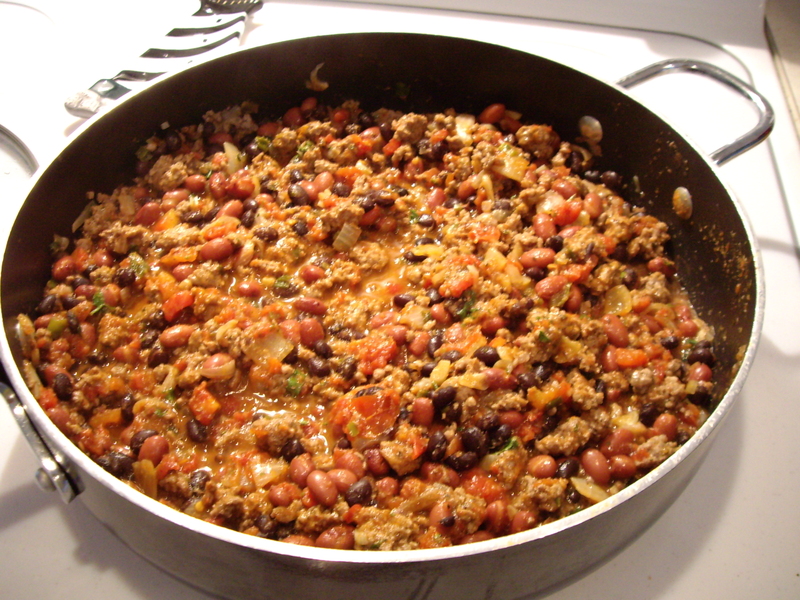 Bring mixture to a boil, stir and lower heat to simmer. Cover. Simmer for about 30 minutes or more and stir occasionally. 6. 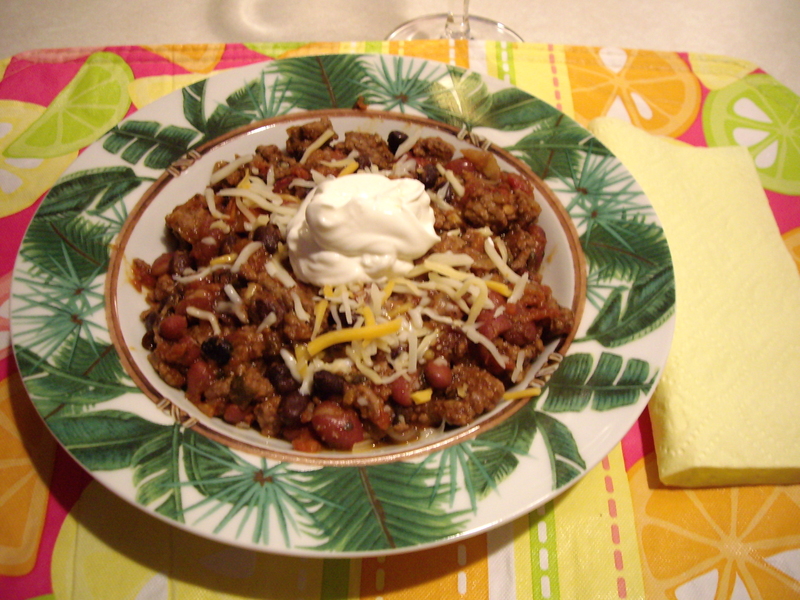 Serve with a dollop of sour cream and shredded cheddar cheese.